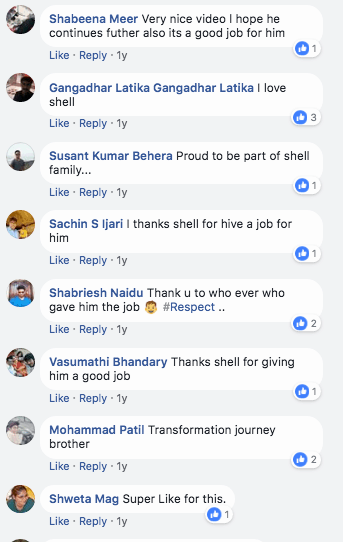 Working with shell has been one of our biggest successes, till date. I still remember the day we welcomed Shell as our client. We were pretty excited thinking about all the crazy things that we could offer and the crazy results that we could get them. Of course, that didn’t really last for long because, well, you know how things are with a bigger client, right? You start off with all the good ideas, but you have crazy expectations that come with it. Knowing this, we were pretty nervous because we knew that this would set the tone for all our future Enterprise clients. It all started with them taking notice of our previous work. They requested then that we create a video for their brand. Now, I clearly remember that when they came to us, they had a couple of ideas about their brand’s image and how it shall be represented. What wasn’t as good, however, was the fact that they weren’t well-organized. One of the exercises that we run at Stagephod is that we try to understand our client’s requirements, listen to their ideas, and then understand exactly they want from us. We take their scattered thoughts, make them coherent, and compile them into a video story that starts making sense to their end user. It might sound easy to you right now, but it’s really NOT. It is a deep and intensive process that always ensures the quality of our work. Usually, companies as big as Shell tend to only do business with marketing content companies that have a huge market presence. It’s very rare for a big company like Shell to engage a company of our size and scale. 1) create an emotional brand story video featuring their own employees. 2) release this video on world disability day. They gave us reference videos and expected us to replicate the success of Shell India on a global platform. For us, this was a BIG opportunity to make our mark on a global level. After we got done with the initial talk about budgeting, video production process, and how we’ll execute our task, we sat down to do the storyboarding for them. Now, a big part of creating a viral video is figuring out the LOOPS that make a video go viral. Sometimes the most difficult part of the entire process is pre-production of the video. The more work you PUT into the pre-production, the better results you are going to get. That’s why I met a lot of expert videographers and artists. I connected with them and discussed my plan to make this video viral. We then collaborated to come up with strategies. I also spent a lot of time on the internet doing my homework, trying to answer just one question: what I can do in the pre-production to ensure that the video goes viral? Story: How well can we represent the ideas in a nutshell? Storytelling: How will we merge all the moving pieces, in a story format? Background score: We needed to choose the right narration music so that it not only moves our audience, but it also merges well with rest of the material. Other important factors: Video marketing basics like title, content/concept, featured image, hook points, length of the video, etc. these all need to be figured out. My extensive homework has made me understand that in order to make things go viral, we have to inspire emotions in people. 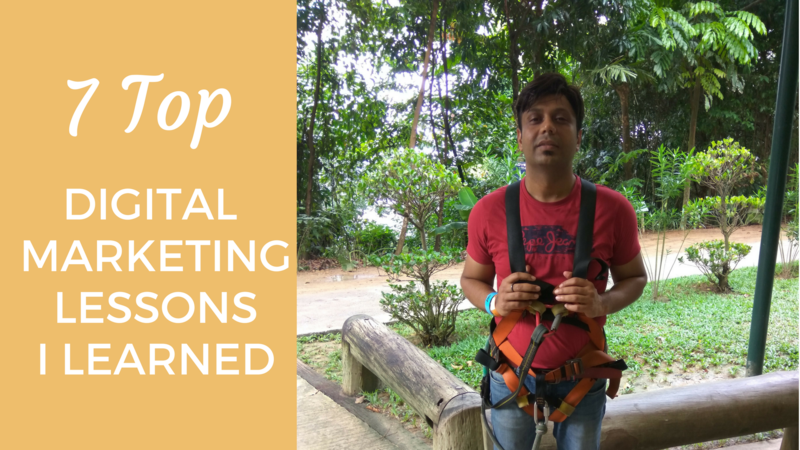 If we have a compelling story, and we tell it in a format which engages people on an emotional level, then we’ll have a solid chance of getting crazy traffic for our video. All of us love stories. We all do. We love it when the happy ending isn’t just handed to us. We love the buildup, the conflict, the triumph of the protagonist. So why complicate it? We decided to give our viewers a nice, relatable story. Our idea was to paint a picture with emotions. We wanted to tell a story so compelling that it will drive people to share it with their friends and family. In order to do that, our viewers must relate to it. If they feel connected to the story, they’ll share it. So building a narrative where the viewer feels connected to the story is very important. That’s why we chose a protagonist that people can relate to on a personal basis. In our storyboard, he went from being a nobody to a somebody, as they say. He achieved his goals, but not for nothing. His struggle makes his success relatable. When he becomes successful in the video, it is cathartic and satisfying for all of the people who are watching, because when they relate to him, they feel like they have a part of that success as well. And as we said, what makes this story even more interesting are the challenges, the hardships, and the problems that he overcomes in order to achieve his goals. I mean, who doesn’t love this brand of zero-to-hero sort of story? But people only like this story when it is not so obvious. So we didn’t make it obvious. We added some serious creative chops to it and made it look appealing. We knew, that only if we could add value to the zero-to-hero trope and visually show the hardships, the story would become relatable for many people. I mean… Just have a look at the video yourself! I am sure that even you’ll find this video inspiring, and you might even relate to this story of triumph. I think stories like this that are based on human expressions of success in the face of adversity are relatable for a lot of people. But yes, you never know until you get the feedback from your audience. As a creative artist, I look for feedback that can really give a definite idea about the quality of my work. To be honest, all artists thrive when they can get honest feedback about their work. So when I saw comments like these, I knew that this work had affected people positively. Over the years, being a storyteller and working with hundreds of clients, I have realized that storytelling is the only way to make people remember any concept or idea. 1) Story: Our story had a journey, a journey where he starts off as a normal person. We introduced him early in the video, so our audience could connect easily with him. We clearly show the challenges and struggles that he had in his life so that we could build an emotional sequence as we move forward with our story. We could end it with him coming out at the top, him being the triumphant person in the story. 2) Storytelling: Storytelling is how you capture and portray all the moving pieces in your AV field in a manner that has the most impact on the audience. Here, we had several moving pieces, but our main task was to drive the emotional story around our protagonist. 3) Background score: You know already that background scores play an important part in any movie. Ask any Hans Zimmer fan, and they’d tell you repeatedly and passionately how important an excellent background score is to moving pictures. Knowing this, I knew that if we wanted to show a story of triumph and achieving dreams, we have to have a background score that sets the tone of the movie perfectly. For any storytelling to be effective, you have to have audio that drives not only supports the story arc, it takes the audience right to the emotional place that you want them at. 5) Was shared 930 times. 6) Had close to 500k views. Once we got such crazy successful results, Shell Lubricants came back to us. They now wanted another video from us. We gave them a second video and bagged an annual contract with them. This time they challenged us to create a viral video for women’s day and told us to get more views and shares than the last time. This video is the story of a woman who works with shell lubricants as a customer service champion in the city of Rajkot, Gujrat. It revolves around her moments of courage and features her bravery as an inspiration for the audience. The theme revolved around Women’s empowerment, and that’s why it was presented on the women’s day. 1) This video became viral on social media platforms. 2) It had close to 500 comments from engaged viewers. 6) Close to 600k views. This video is a story of this woman Varsha. Varsha got employed as customer service champion in Pune, Maharashtra. The main idea behind this video was to show how women are a driving force for organizations. Again, this video was for International women’s day. 1) This video became also viral on social media platforms. 6) Close to 939k views. This video is a story about this man Rakesh and his tale of turning his dreams into a reality. 6) Close to 469k views. 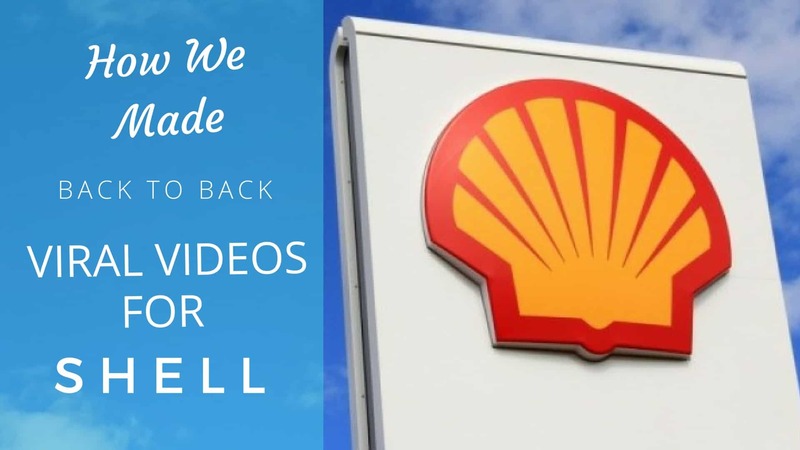 The success of these 2 videos got us a lot more work from Shell as part of an annual contract, and we have been working with them ever since. This is exactly what we do, we turn your vision into a reality. By creating this viral video, we gave Shell the kind of reality and engagement they were looking for. Looking to get viral videos for your business? Get in touch with our video expert right away. 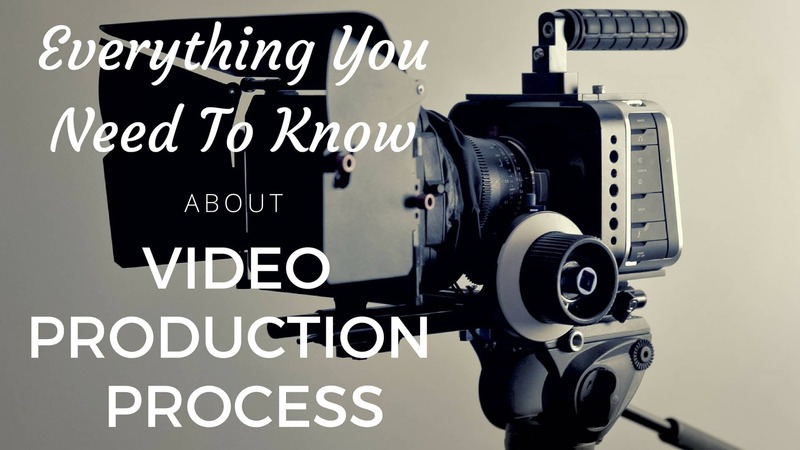 Pingback: Top Questions You Can Before Hiring Corporate Film Makers In Bangalore.